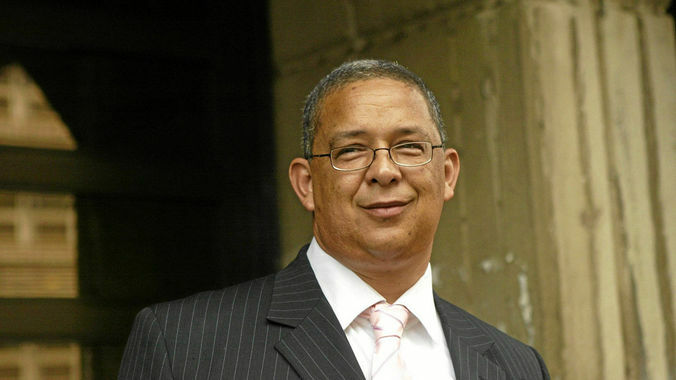 December 26, Derrick John McBride, Robert McBride's father, is born in his parent's home in Rockey Street, Johannesburg. He is the darkest complexioned middle child in a Coloured family of 4 boys and 1 girl. His mother made obvious her dislike of him because of his darkness, and from the age of 8 he alone was made to do all the domestic work when there was no maid. His bitterness toward his mother prevents him from attending her funeral in 1983. He suffers childhood taunts and disadvantage because of his colour, and grows to hate Whites. He becomes politically aware from a young age and later develops a drinking problem. Derrick McBride and Doris van Niekerk marry. They later become the parents of Robert McBride. Derrick writes to inform his mother some time after the wedding. July 6, Robert John McBride is born in the Coloured section of Addington Hospital, Durban. His father Derrick Robert McBride and mother Doris are teachers at a Clairwood school. His maternal grandparents were Collin Campbell van Niekerk, a White Afrikaner, and Grace, a Coloured daughter of a Zulu-speaking mother and a Coloured father. Robert grows up in Wentworth, a suburb 11km from the city centre of Durban. Converted from a World War 2 military transit camp, Wentworth is flanked by the industrial area of Jacobs and an oil refinery, and is reserved for Coloured people. Robert McBride's sister Bronwyn is born. Robert McBride's maternal grandfather, Collin Campbell "Sonny" van Niekerk (a White Afrikaner) dies. He was a bus driver in the rural village of Harding, southern Natal. Derrick McBride, the father of Robert McBride, stops drinking while Robert is very young and buys a welding machine. He takes up part-time welding and carpentry classes. Robert McBride's sister Gwynneth is born. Despite the formative influence of a highly politicised father, one of Robert McBride's first personal experiences of racism is at Zoo Lake, Johannesburg. He joins some White children playing with a fish in a bucket, recently caught by a White youth of about 18 who, kicks Robert (of mixed race) in the crotch. This becomes an incident that his younger sister uses to taunt him. When 11 and in Std. 3 (Grade 5), Robert McBride's father makes him read "Coloured: A profile of 2 million South Africans" by Al J. Venter, an unusually progressive book for its time. The book draws attention to the contribution of Coloured people in the struggle against apartheid, some of whom went into exile and chose violent resistance. It introduces McBride to Coloured political activists such as James April, Don Mattera, Jakes Gerwel, Basil February and his own uncle, Rev. Clive McBride. Discussions that Robert has with his father around these issues create a lasting impression in him. Through a childhood friend, Andre Koopman, Robert McBride is further politicized. Andre is influenced by an elder friend, Ashley, a medical student at Natal University's Alan Taylor Residence right next door to Wentworth, Robert's home. Through Ashley, Robert is introduced to the politics of the regenerating trade union movement, Black Consciousness (including the writing of Steve Biko) and the Frelimo independence movement in Mozambique. Aged about 12, Robert McBride is taught martial arts by his father. This follows a beating Robert received by a much older boy, in a tough neighbourhood with many gangs. He becomes more aggressive and involved in literally hundreds of fights. Despite this, Robert never joined any gangs, largely because of the discipline of his parents. Robert and a childhood friend Andre play rugby and do karate training together at a local gym opposite the police station. Their trainer is a Black man named Enoch Blood. Robert McBride, aged 13, is arrested while challenging the beating by police of a youth in their charge office. Robert McBride and his father begin to develop a very close relationship. Robert McBride assists his father in his workshop 'Utility Services'. At some point in 1978/79 his father begins burglar guards, fire-staircases and other light engineering steel work. This draws him away from his studies and favourite sport, rugby, at which he is very skilled but has little scope for development. Robert is also involved in the collection of payment from customers, and has many encounters with gangs. December, Robert McBride receives his school leaving results, expecting high marks in Maths and Science. The results are poor and for the first time he stands up to his father, explaining the results by saying that he had to work for in the family business. Robert McBride gains entrance to the University of Natal and begins studying Mechanical Engineering. He joins a predominantly White rugby club, Northlands, playing lock. He is prevented from advancing to the top team because of a sport colour bar, and occasionally encounters racial slurs. Friction develops between him and his father over the South African Council on Sport policy of "no normal sports in an abnormal society" which Robert was effectively defying. Robert McBride encounters transport problems and pressure from his father to work during his first semester at university, fails his courses and subsequently drops out. He works with his father for 3 months and then as a dock shiftworker for another 4. Robert McBride works as an instrument fitter for Sasol for 6-7 months. He is trained at the oil parastatal's Secunda plant in the eastern Transvaal. Here he meets fellow worker Thomas Matjeke a trade unionist who talks often of the ANC and Frelimo. He uses money earned at Sasol to buy his first car and the rest he gives to his mother to actualize a dream of hers to open a diner next to his father's welding workshop. Robert McBride is badly burned in a gas bottle explosion at work and is hospitalized in Bethal. He is fetched by his father and this begins a rapproachment after an estrangement lasting several months. For the rest of the year he works with his father. Doris, Robert's mother, obtains a gun for protection against gang attacks. Prior to this Robert owned an illegal firearm. Robert McBride obtains a copy of the Bob Marley "Survival" album, banned in South Africa, and instantly relates to the revolutionary lyrics. Alice McBride, Robert McBride's paternal grandmother dies. Her son, Derrick McBride is so embittered toward her for her racial prejudice against him, and her poor treatment of him as her darkest complexioned offspring, that he refuses to attend her funeral. Robert McBride gets close to Rashaad "Ricky" Leonard, a childhood acquaintance. Through him he is introduced to "Soledad Brothers - the prison letters of George Jackson", who was an African-American associated with the Black Panther movement. It becomes one of the most influential books McBride ever reads. Through it McBride realizes that he can physically fight for his liberation. Robert Mcbride enrols at Bechet (Coloured)Teacher Training College. He meets Gordon Webster, the younger brother of Trevor Webster, a teacher of his from his old high school, Fairvale in Wentworth. Together they take up boxing at the college. McBride's mother and Trevor Webster had also studied at Bechet. Robert was elected to the Student's representative Council the same year. Robert McBride assaults a plainclothes policeman who, with 2 others, attempts to rob his mother's diner. Later, in a separate incident, he kills one of a group of attackers with his mother's pistol while returning from walking some of his mother's employees home at night. The assailant was a youth of about 18. He reports the matter to the local police station. Robert McBride and Gordon Webster decide that armed struggle is the only way for them to meaningfully contribute to the liberation struggle in South Africa. Robert McBride and other students form the Bechet branch of the Azanian Students' Organisation (AZASO), a student wing of the United Democratic Front (UDF). McBride meets Vincent James, active in the Congress of South African Students (COSAS). May 13, Using rocket-propelled grenades, uMkhonto we Sizwe (MK), the ANC's military wing, attempts to sabotage the oil refinery next to Wentworth, Durban, the home of the young Robert McBride. The MK cadres are cornered in a paint factory about 500m from where Robert lived and after a 4 hour gunfight, they are killed.